It took 87 years for Le Juif errant est arrivé to be translated into English. If you've always longed to read a book capturing that very special moment in history when the European Diaspora still was the Jewish people, even as the state of Israel was looming on the far horizon—a book explaining, from within, that moment of incipient transition into two Jewish identities—it has existed since 1930. The problem is that it was written in French, and by a Gentile at that, and for decades nobody bothered introducing it to the English-speaking public. But now the situation has been rectified. 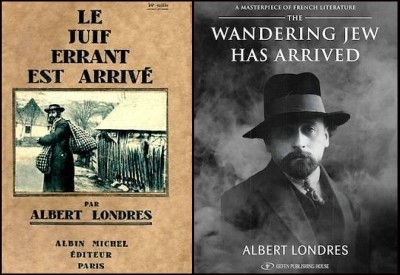 Albert Londres' masterpiece, The Wandering Jew Has Arrived, has recently been published in a superb translation by Helga Abraham, an Egyptian-born graduate of Edinburgh University who now lives in Jerusalem. In her foreword, Abraham goes so far as to compare Londres with "such great documentarians as Mark Twain and George Orwell." I couldn't agree more. None of those American grids. The streets, squares, boulevards, avenues, intersect whimsically. It is bright, spacious, sunny, and all white. It emanates a fierce determination to leave the ghetto behind. You almost expect to see all these Jews pitched on the pavement, mouths open, lovingly imbibing liberty. Only a few years (or a mere two weeks) earlier, everybody around him had been a timid "Israelite" in London or Paris, or a starving Jew in the Marmarosh, or a bullied Jew in Warsaw. Now they were "free men," and "pride had replaced shame." A nation deemed "parasitic" had been reborn on its ancestral soil, complete with "dentists, hairdressers, lawyers, doctors," as well as "bricklayers, road workers, shepherds, farm girls." The new Hebrews "drained swamps, cleared rocks," and everywhere "settlements followed settlements." 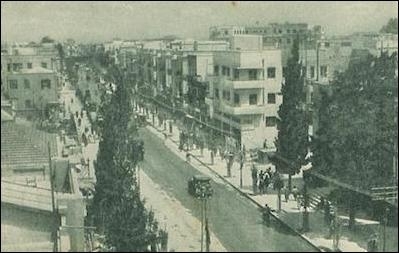 Tel Aviv in 1930, wrote Londres, "emanates a fierce determination to leave the ghetto behind." In the process, the men had shaved their beards, cut their side curls, and dropped their black caftans, and the women had shortened their skirts. But they had also resuscitated Hebrew itself "from the tomb of the Talmud" and turned it into an everyday language. If this sounds like nothing so much as a Zionist fund-raising speech from the 1950s, bear in mind that Londres was one of the first outside observers to give a detailed account of what still amounted, in sheer statistical terms, to a very tiny miracle, involving 200,000 people at most. Nor was he blind to the geopolitical difficulties surrounding the Zionist utopia. Meeting Arabs of all stripes, he was repeatedly warned that they would never countenance the rise of a Jewish commonwealth in their midst. Rajib Nashashibi, then the Muslim Arab mayor of Jerusalem—a city in which already two out of every three inhabitants were Jewish—told him that Jews could take back Palestine for the price at which the Arabs had bought it: "the price of blood." 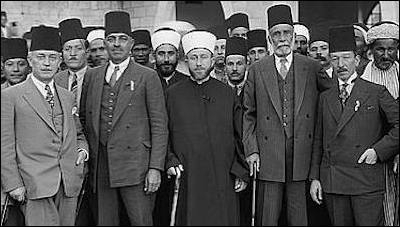 Hajj Amin el-Husseini (center) in 1929. Londres had just returned to Paris when he was told by a friend: "They are killing your Jews in Jerusalem." The 1929 Arab riots had started—ostensibly to protest Jewish prayer at the Western Wall on the Ninth of Av, the anniversary of the Temple's destruction. They soon degenerated into pogroms, just like in Eastern Europe: in Jerusalem, Hebron, Safed, and other places, 133 Jews were killed, often in the most sadistic way, and almost three times that number wounded or maimed. Setting off to the Holy Land once again, Londres conducted a rigorous investigation and added two more chapters to his book. They still read today as the grimmest narrative of those events. They feature the first documented indictment of [Hajj] Amin el-Husseini, the British-appointed grand mufti of Jerusalem who was to become a Nazi supporter. But they also report individual acts of humanity and the courage of Muslim citizens or English policemen who rescued Jews and otherwise resisted the pogromists. Londres had no doubt that 'the Wandering Jew' had indeed arrived home in Palestine. What is more, despite all the difficulties and the implacable anti-Semitism, Londres ends his book on an optimistic tone. He had no doubt that "the Wandering Jew" whom he had encountered at various places in Europe had indeed arrived home in Palestine, and that Zionism was not only a feasible solution to the travails of the Diaspora but the culmination of age-old messianic hopes. In her foreword to The Wandering Jew Has Arrived, Helga Abraham ventures that Londres would be astonished by the "bobbing-up" of ḥaredi communities dressed in 18th-century Polish fashion in the 21st-century state of Israel. I'm not so sure. I tend to believe he would welcome this development as a vindication of his own deepest views concerning Judaism. Significantly, the title of one of the book's closing chapters—a chapter on Zionism and its achievements—is: "The Joy of Being Jewish." To me the phrase has an amazingly ḥasidic ring to it.